For 2 hours and 15 minutes of brutal exercise this morning, this was my only mantra. 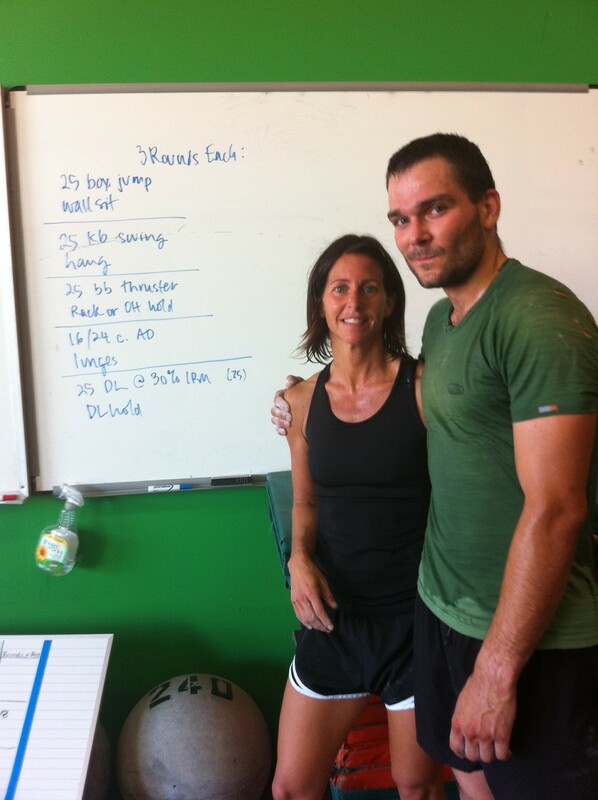 It was the 9/11 memorial workout at CrossFit Fort Vancouver, and our coach was a military special forces trainer. He had designed the workout to both simulate the various experiences of emergency and military responders, and encourage us to consider the hardship that was created that day. I didn’t care much for his rhetoric, but it did inspire me to consider some important questions about how I view the state of the world. It was the second day in a row that I got up and participated in a workout that brought me to my knees. Yesterday was about facing my own demons, today was remembering 9/11, the work done since, and the challenges we still face. 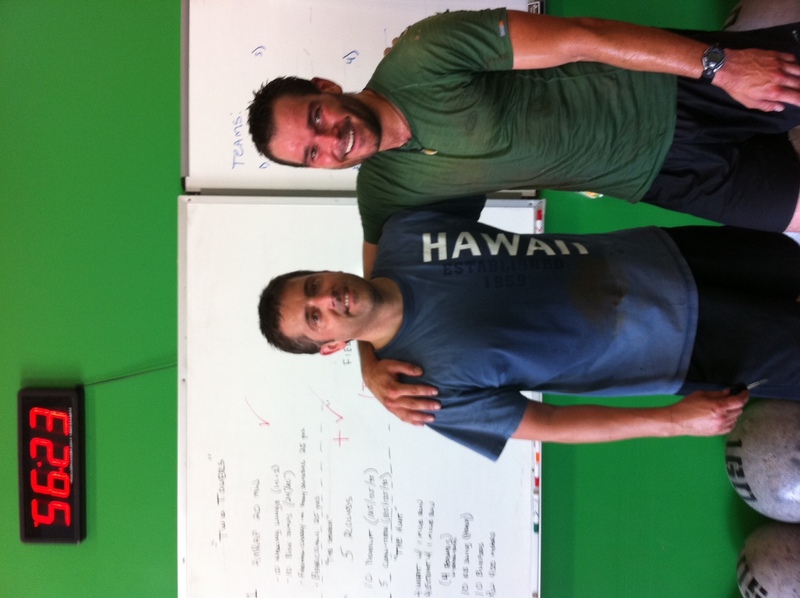 Allan, at 190lbs, was my "patient"- the guy I carried back and forth across the gym like a sack of potatoes. When I first heard about the September 11th terrorist attacks, I was sitting in Dr. VonDracek’s high school physics class. It is not without importance that he was the first person of some authority to comment on the situation. “This is likely the work of Osama bin Laden…” but he went on to describe the power our generation would wield- the power of peace, of tolerance, and of education. Little did we know, he offered a stark contrast to the fiery rhetoric we would be inundated with for the next 10 years. My views still echo his, and suddenly I’m frustrated my plans don’t wield that power, yet. I’ve been feeling overwhelmed, unmotivated, scared, and frustrated the past few days. I feel physically destroyed after driving across the country (and the above-mentioned workouts). I have less money than I expected to have at this point. I’m doubting whether I have the energy to take on biking across a continent. I’m sick of dealing with the mess that is my bike situation. I’m wondering if some of my other goals aren’t starting to impress me more now that I’ve been on the road for 5 months. There is a weight that I feel- considering how 9/11 has shaped our world, I have a hard time traveling rather than contributing substantial solutions to the socio-economic issues that have brought us to the current state of being. My generation faces tremendous challenges- equitable distribution of resources, social equality, and environmental degradation just to name a few. It makes me sick that in some ways, that Mr. Bin Laden succeeded, and to think that I have more useful ideas about how to create a more peaceful and just world. Am I really walking my talk to go travel when there is important work to do? I feel privileged to know so many people that ask me to consider these questions. A solid teammate is an amazing thing to have when facing down your demons, or the world. Still, from a previous post on this blog- “when you aren’t sure where to go next, further is usually the right answer.” And don’t quit. This entry was posted in Uncategorized on September 11, 2011 by sticker1.